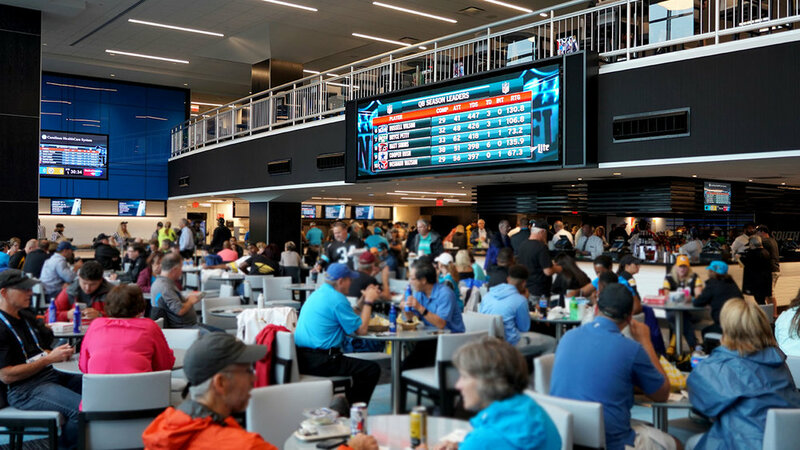 As part of Bank of America Stadium’s multi-million-dollar renovation, a new digital media program was integrated into the stadium’s club-level restaurants, bars, and concourses. 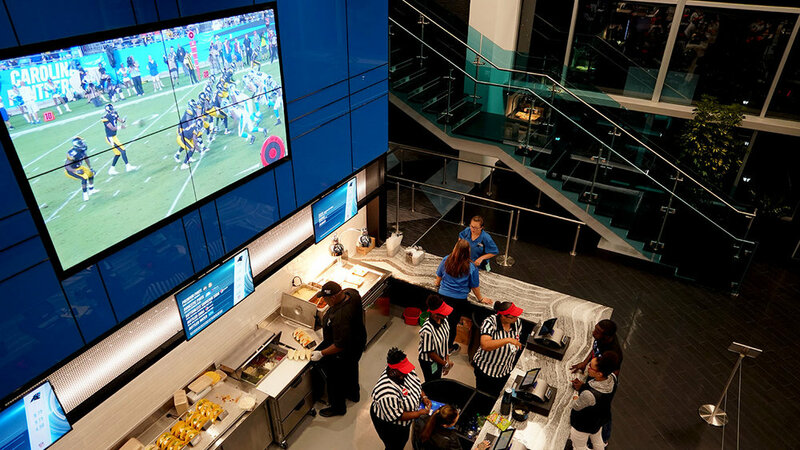 The addition of 200+ digital displays to many of the newly-designed interior spaces allows for continuous engagement of fans and event-goers occupying the club level, providing live game and event feeds from the field. The new digital media program, designed by Sensory Interactive, includes four interior 2.5 mm FINE PITCH S|Video™ LED displays. Two of these displays include 71 square feet of LED canvas and one million pixels, while the other two displays measure 132 square feet each and contain nearly two million pixels per screen. In total, the club level now features over 400 square feet of high-resolution, state-of-the-art LED screens. 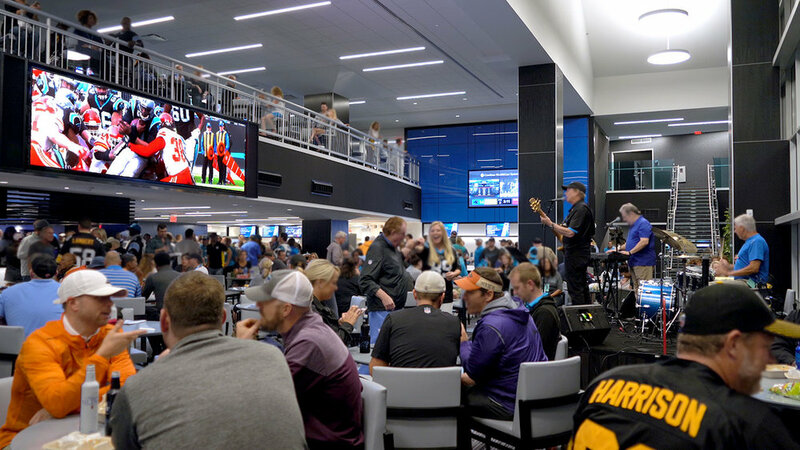 SNA Displays also managed the installation of more than 200 LCD televisions throughout the concourse. 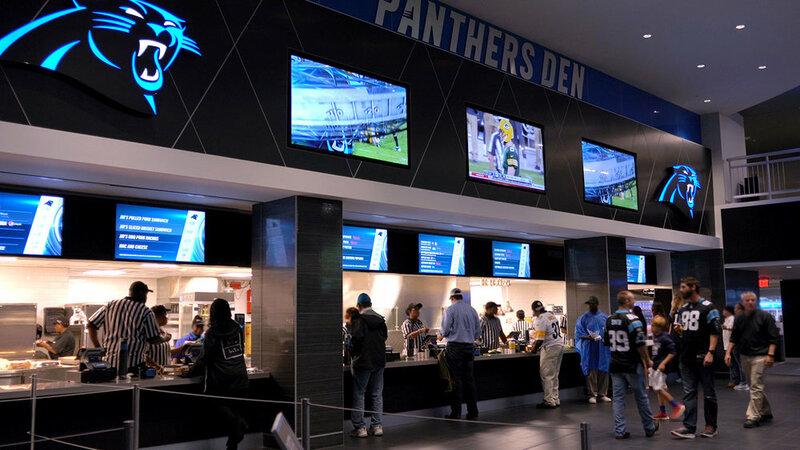 These interior LED video displays employ surface-mount device (SMD) pixel technology, where the LEDs in each pixel are packaged together, allowing for crisp, clear imagery and a widened viewing experience. Owner's consultant Sensory Interactive oversaw design, technology selection, bidding, and project management for the display network. Following a comprehensive evaluation process, Sensory Interactive selected SNA Displays for the project based on the company's ability to adapt to the demanding project requirements and deliver displays with the remarkable resolution and build quality required for this project. Other agencies involved in the project include Casco Signs Inc. and Rodgers Builders.